CONTEST: Win two tickets to the Totally British Festival! We published a blog post back in the heady days of 2013 asking: Do we need a Little Britain in Toronto? After much debate in the Brits in Toronto office — settled by a game of slapsies — it was decided that no, we don’t. Brits are scattered far and wide across this fair city … but now and again (especially during World Cups) we tend to congregate as a tribe and (modestly, ahem) celebrate all things British. Thanks to Paul and Michelle Meade, the publishers of The British Canadian Group of Newspapers and Totally British Magazine, Brits will have that chance again to meet up and have some jolly old fun at the Totally British Festival being held at the Hamilton Convention Centre on May 16-17, 2015. It’s being described as the biggest British Show in Canada for a reason. The Totally British Festival will have two days packed with traditional — and not so traditional — British entertainment, with an emphasis on fun. The event is taking the place of the annual British Isles Show, which is usually held in Mississauga. The organisers announced they were postponing the spring event, and possibly moving it to the autumn. That’s when Totally British Magazine stepped in to fill the gap. Instead of the usual Coronation Street character being the big draw, organizers hope the varied entertainment will bring people in. From Morris Dancers, to a Beatles band, to a Punch and Judy Show, Tom Jones tribute artist, a Classic Car show, Robin Hood Village, Brass Band, Coronation Street Quiz, model trains, a Concert Band, a bit of British Pantomime, and some seriously funny audience participation, every hour will be packed with family entertainment. There will be dozens of British vendors on hand selling everything you miss from back home, and there will be a bakery, sweet shop and British grocery, as well as a hot food stall selling pies, pasties, baked beans and mushy peas. Entry has been reduced to $10 per person, and there is an online offer that gets you in both days for just $10, but it’s a limited time offer only available at www.totallybritishfestival.org. The website also has details of a weird talent competition being held at the festival. 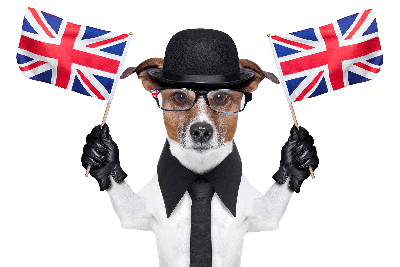 Brits are invited to enter Briton’s Got Talent where they are can display weird and unusual talents to win prizes. All sounds great, eh?! Now here’s the good bit — Paul has kindly offered TWO FREE TICKETS to the show as a contest prize! It’s quite simple: just tweet why you’d like to attend the show and (1) include the hash tag #britstix (so we can track entries) and (2) link back to this post (here’s the short link [http://wp.me/p3SIGx-om] so you can save space in your tweet). If you are not on Twitter, just post your reason to attend the show in the comments section below. It’s that easy. We’ll pick a winner the week before the show and arrange with Paul to get them the two tickets. Hoping to see a massive turnout of Brits in May! This entry was posted in Uncategorized and tagged brits in toronto, totally british festival on March 25, 2015 by britsintoronto. This show is the only show I look forward to attending and to win tickets to attend would be the highlight of my day. My husband was a police officer in Kent for 15 years. He is now with the ontario provincial police. He hasn’t back home since 2004. It would be a lovely gift is I was able to win two tickets to this event and put a big British handsome smile on his face. Congrats Ainslie, you’re our winner. There’s two tickets waiting at the door for you on proof of ID. Hope you and your husband have fun! In the 1990s I try to go to the British Festival or the Festival of Britain, just about every year are children were small then and the enjoyed it also. Now I’m almost 70, the kids are grown and we have a grandson living with us he’s High functional autistic. I would like him to experience the British Fest as our children did. What we used to do is go to Niagara Falls, and then Mississauga , and stayed at Novotel Hotel. Then we spent most the day at the festival of Britain and ends the trip by going to Medieval Times. I used to charge everything because I couldn’t afford it. But I would love him to have the experience.